Lidl Netherlands was the big winner of this year's competition, taking the top prize in three award categories: Ambient Grocery, Beverages - Non-Alcoholic and Convenience Foods. Elsewhere, Irish retailer Dunnes Stores took the spoils in two categories (Frozen Food and Tea, Coffee & Hot Drinks), while SPAR also took two honours, one for SPAR International (Confectionery & Snacking) and one for SPAR Netherlands (Beverages - Alcoholic). 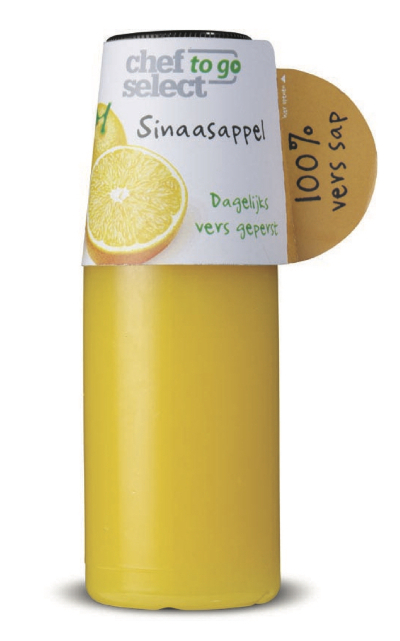 "The winners of this year's European Private Label Awards indicate the level to which private labels are competing with, or in some cases outperforming, major national brands," said Stephen Wynne-Jones, editor, ESM: European Supermarket Magazine. "ESM would like to congratulate all the winners and finalists in this year's competition." This year's competition welcomed twice as many entrants as last year, with leading grocery operators in Germany Italy, Spain, France, the UK, Denmark, Ireland, the Netherlands, Belgium, Hungary, Sweden, Norway and Portugal taking part, as well as a number of private label suppliers. There were 12 categories in total. "We are both delighted and proud to partner with ESM for the European Private Label Awards, as we share a common interest in innovation," commented Sebastian Gillet, Show Director, M.A.D.E. "It is always a pleasure to share our knowledge of the retail market, and ESM is the ideal platform through which to do so." The judging for the Awards took place late last year in Dublin, and ESM would like to extend its gratitude to the esteemed team of judges for assisting with his process: André Michel and Malachy O’Connor, International Private Label Consult (IPLC); Hermann Sievers, SMK-Sales.com; Loe Limpens, Yellow Dress Retail; Sebastiaan Schreijen, RaboResearch Food & Agri (FAR); Carlo Rubino, Restaurant Patrick Guilbaud (two Michelin stars); Caoimhe Hanafin, the Shelbourne Hotel; Derek Reilly, Aramark; Suzie Koumarianos, the Burlesque Baker; Emily Hourican; Hospitality Ireland; and Mark Kelly, ESM: European Supermarket Magazine. A video of the judging process can be viewed here. Entry for the 2020 European Private Label Awards is now underway; for more information, visit www.privatelabelawards.com. 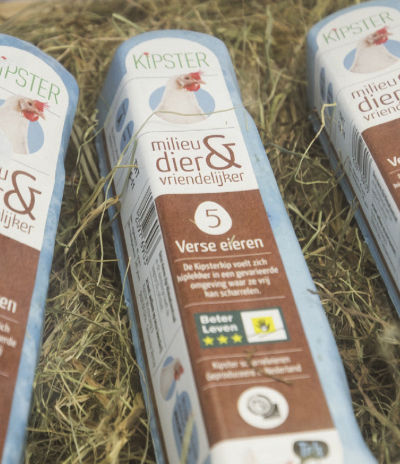 Lidl Netherlands describes Kipster eggs as the most ‘environmentally friendly eggs in the world’, with the product available exclusively at Lidl since October 2017. At Kipster, the focus is 100% on sustainability: the well-being of the chickens, the impact of the barn on the environment (the roof features more than 1,000 solar panels, to keep baby chicks warm), and the feed, sourced from leftovers from local bakeries. The judges described Kipster Eggs as a product with “excellent credentials” and a “great taste”. The packaging was described as “quirky, but attractive”, with one judge saying that the product deserves recognition for its sustainability credentials. Overall, the unanimous verdict was that this was a “great concept, and a great product”. Supplier(s): Técnicas de Elaboración de Salsas, S.L. 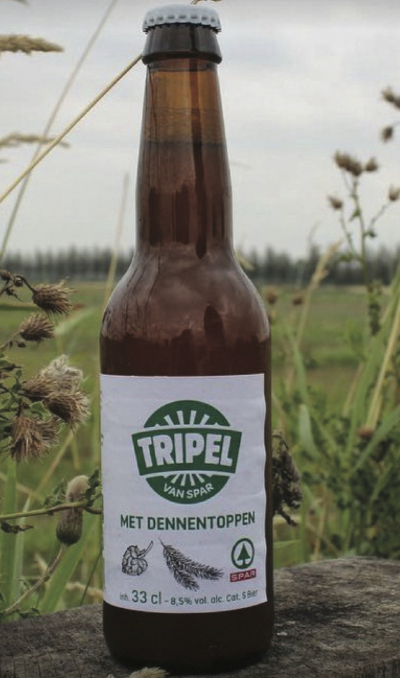 SPAR Netherlands teamed up with Brouwerij ‘t Meuleneind to develop a tripel-style beer that taps into the growing demand for craft beers and ales in the country. Most of all, however, new products entering the market need to taste good, and this, the SPAR Tripel Met Dennentoppen (pale ale with pine), hits the mark. The judges described the product as “very tasty”, appreciating the “small batch” approach taken by SPAR in developing this niche product. Another judge described the flavour as “smooth, with a refreshing hint of pine,” while another suggested that the retailer should do more on pack to communicate the qualities of what is a “very impressive” product. Meeting consumer demand for convenient, light, healthier drink options, Lidl Netherlands developed the Chef Select To Go juice and smoothie range, which includes a variety of mixed fruit and vegetable variants, including a cucumber, spinach and apple juice and a forest fruits, yoghurt and oatmeal smoothie. Each unit is priced at €0.99, making it an affordable, healthy option for consumers. The judges said that the range boasts a “very good price-value ratio”, a “refreshing taste” and an “adventurous” range of flavours. The orange juice, in particular, was commended for its “excellent” taste balance. 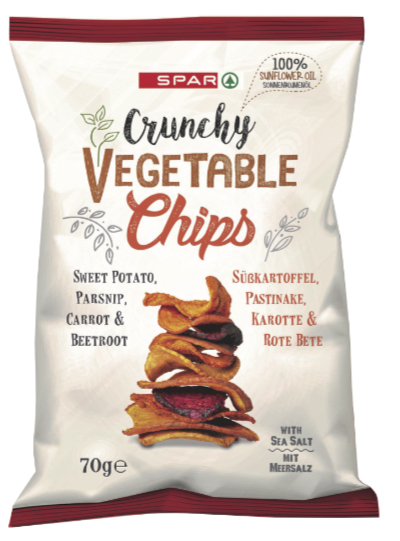 SPAR International launched a range of crunchy vegetable and potato chips earlier this year, as a lower-fat and lower-carbohydrate alternative to other potato and maize-based snacks in the sector. The product is available in three variants: Beetroot, Parsnip & Carrot; Beetroot, Parsnip, Carrot & Sweet Potato; and three varieties of Potatoes. The judges praised the “pleasant taste and texture” of the product, awarding it high marks for its appearance and point of differentiation. In a category that sees a lot of innovation each year, it is rare to see a product launch that is “truly different”, and SPAR International should be commended for “trying something new”. Supplier(s): Juan y Juan Industrial, S.L.U. 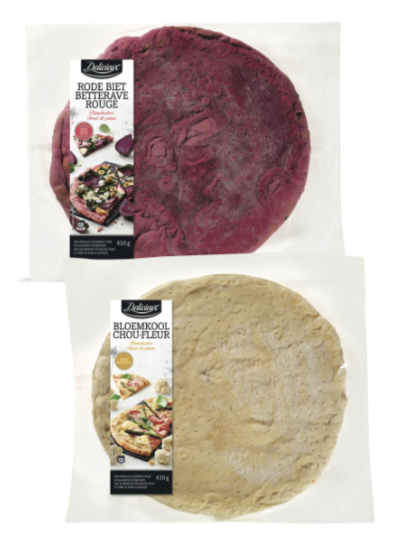 Part of the Lidl Delicieux range, this product offers a tasty alternative to the classic pizza crust, for consumers who like to prepare pizzas from scratch when cooking at home. Approximately a quarter (24.2%) of each pizza crust consists of vegetables – in this case, red beet or cauliflower – ensuring that consumers can eat more vegetables when enjoying a home-made pizza. The judges said that Lidl has developed a “really interesting concept” with the vegetable-based pizza bases, adding that this would “really appeal” to those who are looking to get more vegetables into their diet. They praised the eye-catching visual impact of the red-beet pizza crust, in particular, saying that it would “look good on social media”. Supplier(s): Ez A Világ Kft. 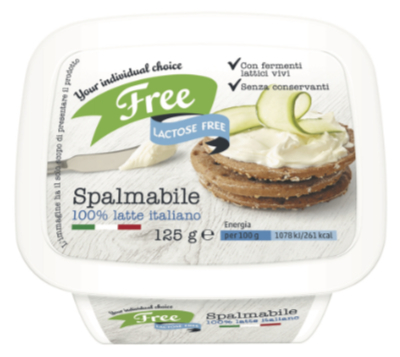 Free Cream Cheese is part of Penny Italia’s growing range of gluten- and lactose-free products, designed for people with food intolerances. Featuring distinctive packaging, the product was developed in conjunction with Bustaffa, a producer of dairy products that uses only 100% Italian milk and has been in business since 1920. The taste was the real standout attribute of this product, with judges hailing its “creamy texture”, adding that there is “no difference” between this lactose-free variety and traditional, dairy-based cream cheese products. The product successfully taps into consumer demand for free-from products that meet (or exceed) the same quality and taste criteria as those of regular brands, they said. 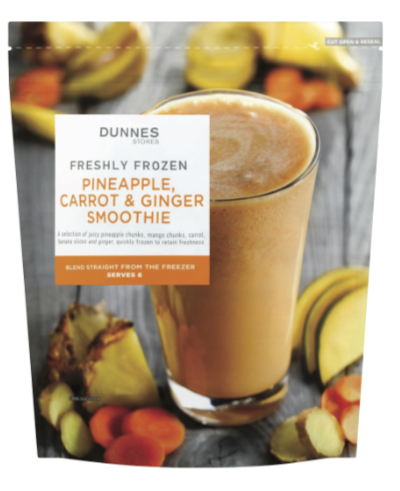 Dunnes Stores Freshly Frozen Pineapple, Carrot & Ginger Smoothie is a selection of juicy pineapple chunks, mango chunks, carrot, banana slices and ginger, quickly frozen to retain freshness. Blended straight from the freezer, this is a nutritious, convenient option for those seeking to adopt a healthy lifestyle. The judges said that this product was “beautifully packaged”, with the resealable element of the packaging increasing the convenience factor. They described it as a “really interesting concept” and “ideal” for consumers looking for convenient, healthy options. Supplier(s): Ad van Geloven B.V. This easy-to-prepare meal features fresh salmon from Norway with a teriyaki sauce to spread on top before baking in the oven or on the grill. It comes in an aluminium tray, for easy preparation, and it is served in extra-thin slices, for a short cooking time. The smart design of the product is tailored to take advantage of the trendy ‘street food’ wave – a healthy alternative to meat during the barbecue season. The judges said that this product boasts a “fresh, well-balanced flavour,” with the teriyaki glaze complementing the fish perfectly. 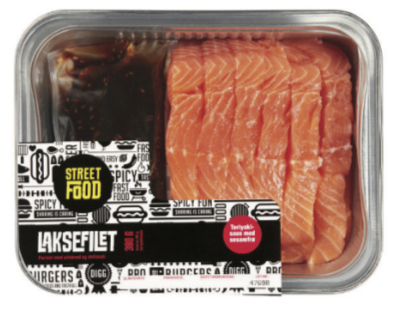 The judges also praised the “contemporary” street food-style packaging design and the ease of preparation. ICA Skona Naturlig products are produced exclusively with all-natural products, comprised of more than 95% natural ingredients. The products are certified with both the Nordic Swan Ecolabel and the Ecocert label, which is a landmark for the category, ensuring that they meet the highest standard for sustainability. Furthermore, the products come in packaging produced from sugar cane, a renewable raw material. 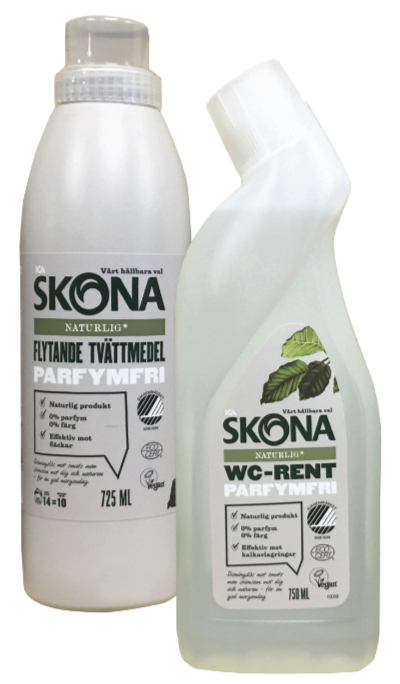 The judges said that the ICA Skona Naturlig range boasts “impressive” environmental credentials and is presented in packaging that “conveys the natural identity” of the products. With consumers striving to make more responsible purchases, the range “exceeds expectations” in terms of sustainability. Conad’s Baby Natural line aims to meet emerging trends in terms of naturalness while creating value and giving more solutions and choice to consumers. It is characterised by innovative, ultra-delicate formulas with more than 90% ingredients of natural origin, and by the use of organic extracts of camomile and calendula. The entire range, which includes wet wipes, baby bath products and hair products, is paraben-free. 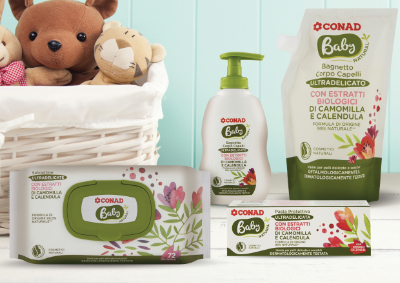 The judges said that the Conad Baby Natural range is “attractively packaged” and creates a distinct “brand identity” within the Conad private-label offering. It is “ideal” for shoppers who want to make more sustainable choices when purchasing baby products. The German pet food market is growing, especially in the premium segment. 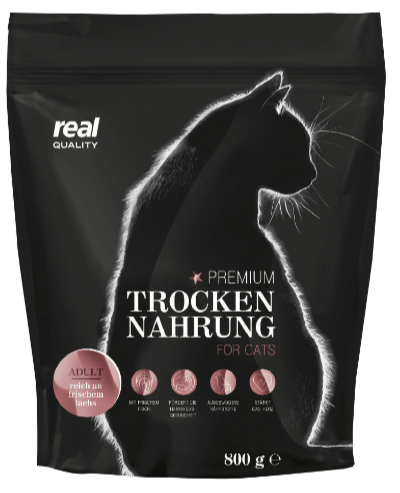 To serve its loyal customer base and stand out from the competition, Real developed an own-brand premium cat food range. The new product uses an unorthodox design to communicate the new proposition to clients. In the packaging design, in store, and in related communications, the cat featured on the packaging – Theodor – is the ‘spokescat’ for the brand. The judges said that the range stands out from other products in the category, thanks to the “sleek design” of the packaging, as well as the “simple instructions” and colour-coding to indicate the different variants. The product was also praised for tapping into demand for premium pet food options. 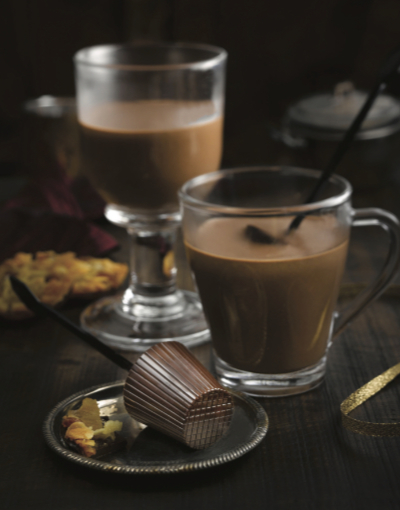 Dunnes Stores worked with Áine’s Handmade Chocolates, an artisanal chocolatier in Cavan, to develop its Simply Better Handmade Belgian Hot Chocolate Swirl Sticks. These swirl sticks make the perfect hot chocolate – simply add to a cup of warm milk and stir until the delicious Belgian chocolate has dissolved. The judges praised the “novelty factor” of this “fun” product, saying that it offers a “point of difference” in a category in which innovation tends to trod the same path time and again. The texture and flavour of the drink itself was described as “warm, creamy and delicious”. For further details, please contact Stephen Wynne-Jones, editor, ESM: European Supermarket Magazine at [email protected].